The grid infrastructure that powers the United States is dated. With the occurrence of extreme weather events on the rise, grid failures have become an increasingly urgent problem for local communities. Just since last year, hurricanes and flooding in Texas, the Carolinas, Florida, Puerto Rico, and elsewhere have left millions without power for extended periods of time. Given the necessity of electrical equipment and refrigeration to medicine, food safety, and other critical tasks, grid failures can quickly become matters of life and death. By contrast, renewable energy infrastructure is much more resistant to weather damage. Though power lines were cut when Hurricane Harvey blew through Texas, no wind farms were damaged. In Florida, individuals and cities with solar arrays were able to generate power immediately following Hurricane Irma through the use of inverters. In India, in the wake of major monsoon flooding last year, DESI Power reported that nearly 75% of their solar arrays remained operational. So it is not solely for environmental or financial reasons that communities are demanding alternatives to the carbon-fueled grid. One of the most important benefits of investing in locally produced, microgrid-connected renewable energy is having a robust supply of emergency power when it’s needed. By switching to microgrid power during a grid failure, people are able to keep critical infrastructure operational. For utility companies, this frees up manpower that can be directed elsewhere for more pressing grid repairs. For an example of local initiative in action, look no further than Pittsburgh, where traditional grid power may be going the way of steel. In its place, an interest in microgrids has taken hold, defining a new vision of the city powered by an assortment of renewable energy sources. At one pilot site, a trucking company in nearby Harmar, Pa., a wind turbine and solar panels are connected to a battery bank, forming a microgrid that supplies electricity to the facility. Gregory Reed, head of the University of Pittsburgh energy program, hopes to see entire neighborhoods powered by similar microgrids, which can then be connected to one another to form an even larger network of resilient energy. Such microgrid technology has been in use in Alaska for decades, providing not only the security of a more resilient power grid, but the financial benefit of a more cost effective one. The Pittsburgh microgrid project has been embraced enthusiastically by city hall, and has even become a model for other grid modernization projects, such as the one underway in San Juan, Puerto Rico. For months following Hurricane Maria last September, Puerto Rico remained largely without grid power, in a state of humanitarian crisis. Thanks in part to the construction of microgrids since Maria, major crises have already been averted. One Boston startup actively engaged in microgrid tech development is Power2Peer. Combining software-defined microgrid network controllers with a blockchain-secured trading platform, Power2Peer offers users the convenience and efficiency of buying and selling solar energy peer-to-peer. 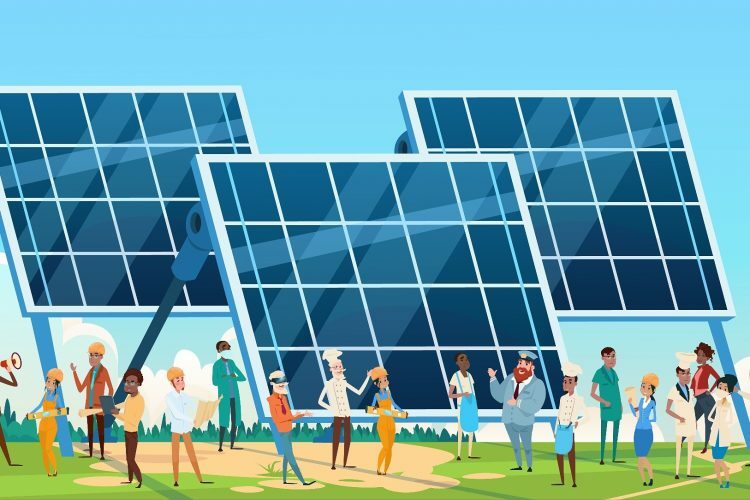 By building a network of connected renewable energy sources, communities will not only make more efficient use of their energy, but maintain a resilient backup supply should main grid power go down. In addition to ensuring dependability, microgrids lower energy costs for solar producers and consumers alike. Best of all, microgrids substantially reduce carbon emissions by making better use of freely available resources like solar and wind. Market growth and technological advancements in solar microgrids have combined to make it an exciting time for investors. Power2Peer is currently conducting an equity crowdfunding campaign with StartEngine. Invest today, and together we can build the resilient infrastructure of tomorrow! Join the microgrid revolution today!